“The Astute Investor, 2nd ed.,” is the most important book on stock market investing since Benjamin Graham’s “The Intelligent Investor,” a national best seller. “The Astute Investor, 2nd ed.,” presents the collected wisdom from the greatest thirty-seven books and articles on investing, making it the book to read. Know whether the stock market is under or overvalued, the market’s long-term trend, how to be a contrarian investor and to judge the government’s interest rate policy. Learn how to calculate a corporation’s intrinsic value and margin-of-safety multiple, like Warren Buffett. Understand how to interpret the news, technical analysis, trading psychology, about bond investing and retirement planning. 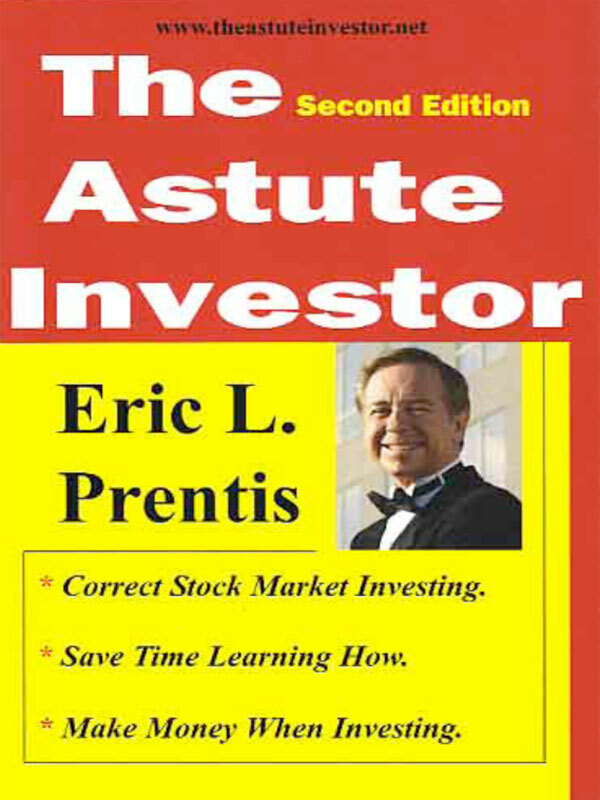 “The Astute Investor, 2nd ed.,” is the stock market book on investing that is broad in scope yet clear and detailed in its explanations. Successfully apply the best advice and techniques from the stock investing experts. You can purchase the book online from Smashwords in multiple eBook formats at http://www.smashwords.com/books/view/83991.